Condos offer a certain way of living that many find desirable. Whether you’re pursuing a condo to live out your retirement in, relocating to Blowing Rock to begin your professional career, or moving your family to a quieter part of town, there are two communities you’ll want to check out. Glen Burney Condos and Village Green Condos are both attractive places to call home. If they have any units available, you’ll find them here on our site. The Mountain Group at Premier Sotheby’s International Realty specializes in properties for sale in the High Country. From an upscale lodge on the outskirts of Banner Elk to a chic condo in Blowing Rock, we feature an array of real estate options all across the field. Browse them in entirety or do a detailed search to quickly pinpoint homes that meet your needs. Is a condo the most practical option for you? Our experienced team will be happy to guide you in deciding what your ideal property looks like. Maybe it exists within the community of Glen Burney or Village Green condos. A typical condo at Village Green is a two-bedroom property with beautiful landscaping and convenient access to Main Street. One you might expect to find at Glen Burney is a one-bedroom unit, completely furnished, with an inviting sundeck. If these have your interest, we’ll be happy to take you on a tour of any units listed. Glen Burney Condos and Village Green Condos afford desirable real estate investments. 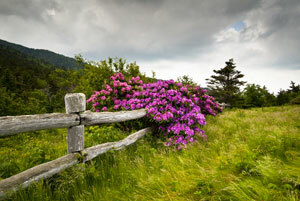 Blowing Rock is a charming place to live, work, and play. A condo could be just the real estate solution to complement your lifestyle here. If convenience and community in a stunning setting sound appealing, look no further. We’re here to bring your dreams to fruition with a home that suits you.